B2K reunite after 15 years for the Millennium Tour! 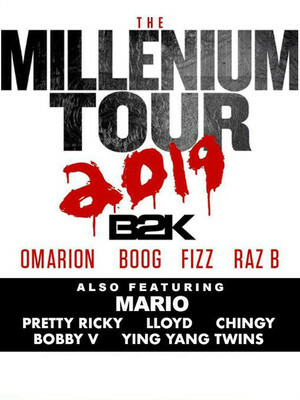 The Millennium Tour kicks off in March and marks the first time B2K have performed together in more than a decade. The quartet made up of Raz B, Omarion, Boog and Fizz bring you hits including 'Badaboom', 'Bump Bump Bump', and 'Gots Ta Be'. B2K found their fame in 2000, with hits including 'Take It To The Floor' and 'Do That Thing' which featured Lil' Kim. The band continued to find success in 2002 when they dropped their self titled album and Pandemonium!. Though the noughties saw bands like Backstreet Boys and *NYSYNC take over, B2K continued to shine through with tracks like 'Uh Huh' and 'Girlfriend'. Sound good to you? Share this page on social media and let your friends know about B2K at Tuscaloosa Amphitheater. Please note: The term Tuscaloosa Amphitheater and/or B2K as well as all associated graphics, logos, and/or other trademarks, tradenames or copyrights are the property of the Tuscaloosa Amphitheater and/or B2K and are used herein for factual descriptive purposes only. 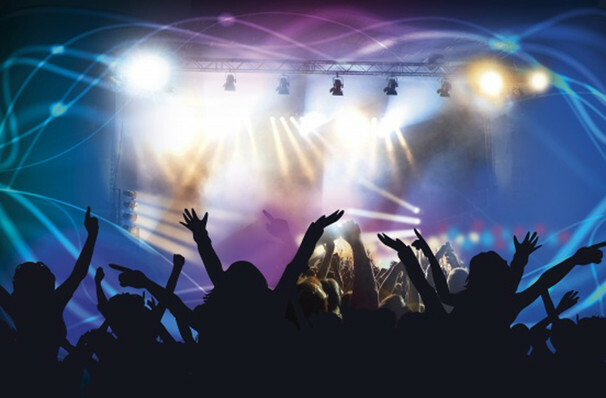 We are in no way associated with or authorized by the Tuscaloosa Amphitheater and/or B2K and neither that entity nor any of its affiliates have licensed or endorsed us to sell tickets, goods and or services in conjunction with their events.